This stylish computer credenza will enhance your office décor splendidly. 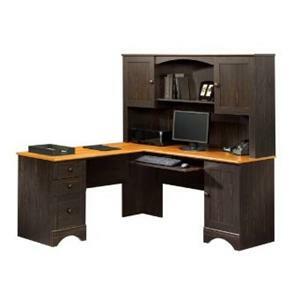 It features a sophisticated dark alder finish that is accented by satin finish nickel hardware. The piece comes with a slide-out keyboard/mouse shelf and two file drawers with full extension slides that hold letter, legal, or European size hanging files. The featured durable melamine top is heat, stain and scratch resistant making it a great work surface. The desk comes with convenient grommet holes for cord management. 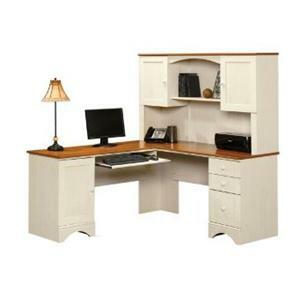 This computer desk and hutch is very versatile with base units that are interchangeable and the hutch can go on either side. 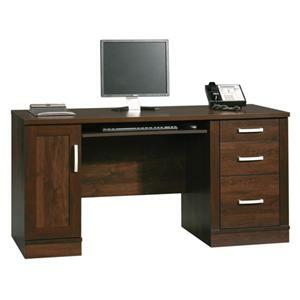 The desk tops have a melamine surface which is heat and scratch resistant. You'll find plenty of storage as well. Available in an antique white and antique black paint finish for a charming cottage style. 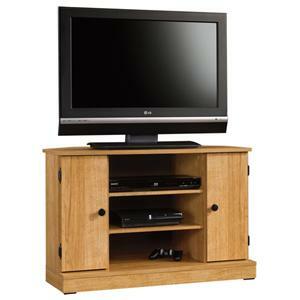 This simple but stylish television stand is ideal for a smaller space. The piece will fit right into the corner of a room, allowing you to make the most of the space you have. Two side doors offer enclosed storage, with an adjustable shelf behind each that is perfect for movie storage. Two adjustable shelves in the center hold electronics components. This functional piece will quickly become a favorite in your living room. 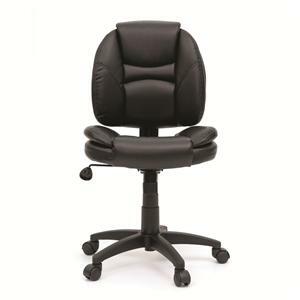 This vinyl upholstered task chair features a thick seam-sewn, contoured back cushion for lumbar and upper back support and a contoured, padded seat for maximum comfort. An oversized built-in headrest provides head and neck support. 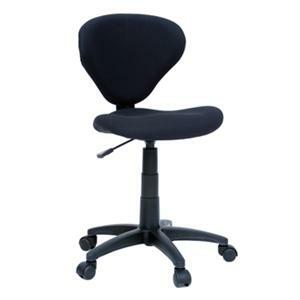 The chair sits on a plastic swivel base with pneumatic seat height adjustment and casters. 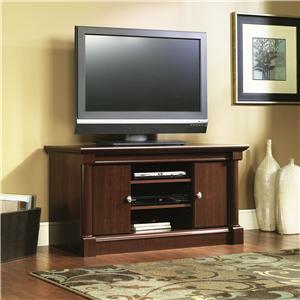 Bring warm and handsome style into your home with this television stand. 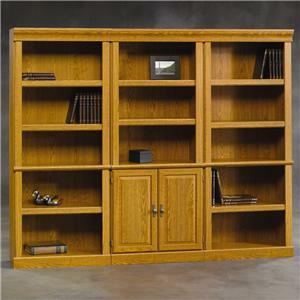 The piece carries a select cherry finish and features two center adjustable shelves for various media players. Plus, the adjustable shelf behind each door holds DVDs and CDs. There will be a lot to like with this TV stand in your home. 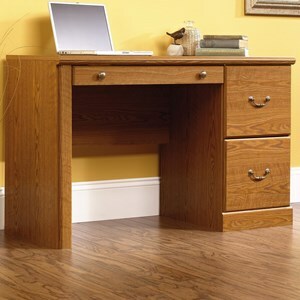 This simple computer desk will get the job done with its pull out keyboard tray behind the drop down front, a storage compartment behind the drawer looking door front and a file drawer as well. 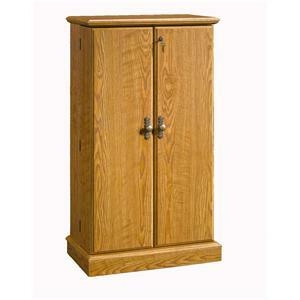 Because it is ready-to-assemble, it can be brought into many hard to fit areas like a dorm room or small apartment.